K-12 scholarship funding for low-income students in Georgia. In 2008, as a response to state legislation, the Georgia GOAL Scholarship Program began offering assisting students in low-income areas by providing access to K-12 private education. GOAL is funded by offering tax credits to Georgia taxpayers that choose to donate to the program. Georgia GOAL needed a system to process those donations and disperse it among the schools chosen by the awarded students. Our team was able to create an entirely custom solution to these requests. To accomplish this task, Georgia GOAL partnered with eResources to create a donation portal for taxpayers to donate in exchange for the tax credit. These schools are also issued a portal to manage how the funds allocated to them are dispersed among awarded students. Our team constantly updates and tweaks the processes run through the portal to make things more efficient. As tax laws change in Georgia, our team changes the way that the portal’s logic works. 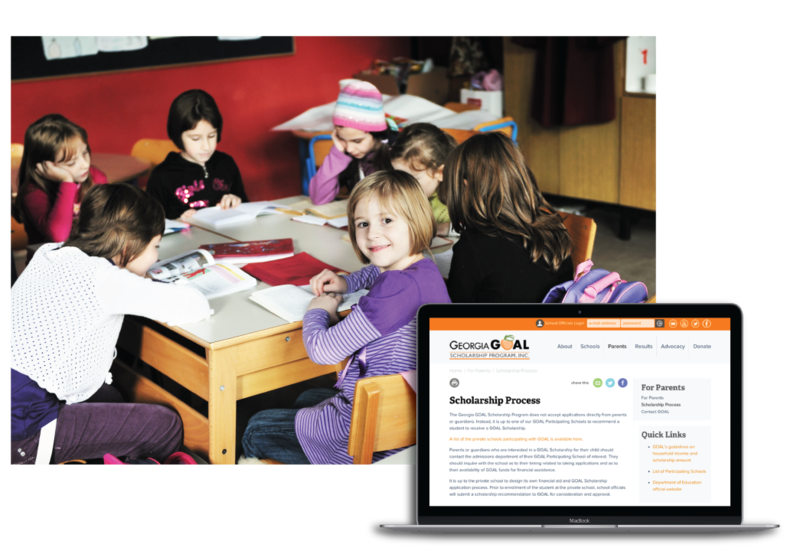 The mission of Georgia GOAL Scholarship Program is to provide greater opportunities for access to learning for all Georgia children. In 2008, the State of Georgia began offering tax credits for donations to student scholarship organizations. In response to this law, the Georgia GOAL Scholarship Program was recognized as an SSO and has since awarded 128.2 million in scholarships. The Georgia GOAL Scholarship Program leads SSO’s of Georgia, providing 33% of total scholarships statewide. In the ten years since their founding, they have provided 34,482 scholarships worth $128.2 million. The families of these 14,340 students have an average adjusted gross income of $27,275. Georgia GOAL Scholarship Program provides these students with access to better education. 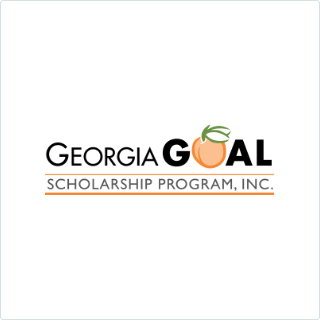 President, Georgia GOAL Scholarship Program, Inc. NEED HELP RUNNING YOUR SCHOLARSHIP PROGRAM?